Class to do spreading operation in the context of CopyTo. This class will perform a spreading operation of the data in src along the summingDir direction(s), multiplying by the scale, and placing the src values in the corresponding locations in dest. 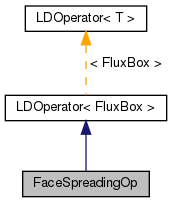 Reimplemented from LDOperator< FluxBox >.